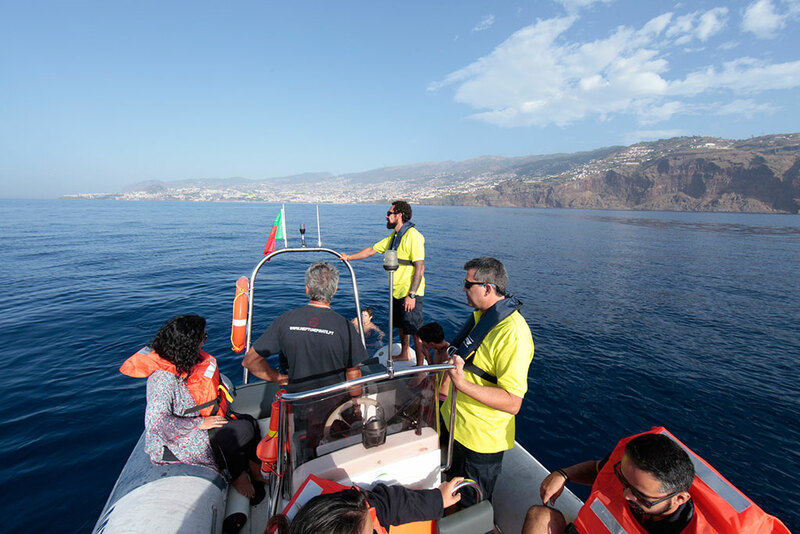 Madeira Dolphin and Whale Watching on a 140 horse power Speed Boat which is smaller than most of the others you will find at the marina. 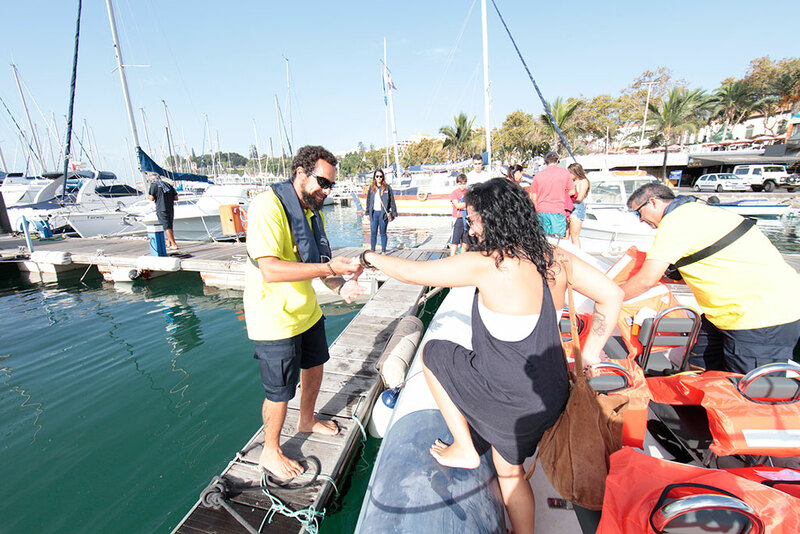 We take a maximum of 10 guests onboard at a time. 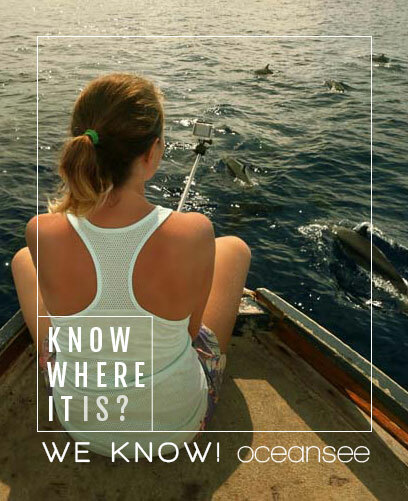 We come across Dolphins and Whales in 98% of our trips, and if we don’t, we will offer you a second trip for free. 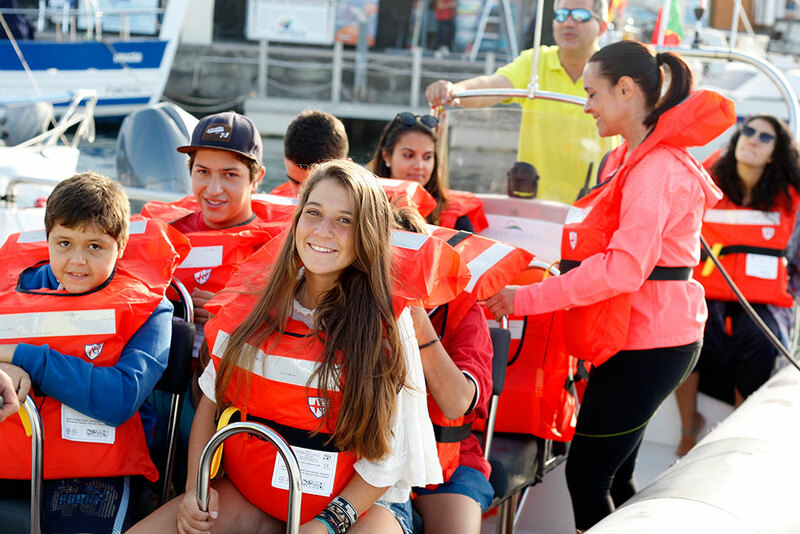 We provide 2 types of trips. 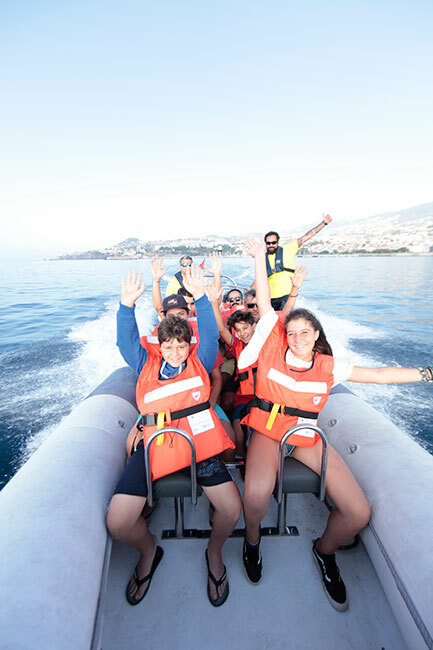 1h trip: This trip consists of a Funchal ocean ride in search of Dolphins and Whales. 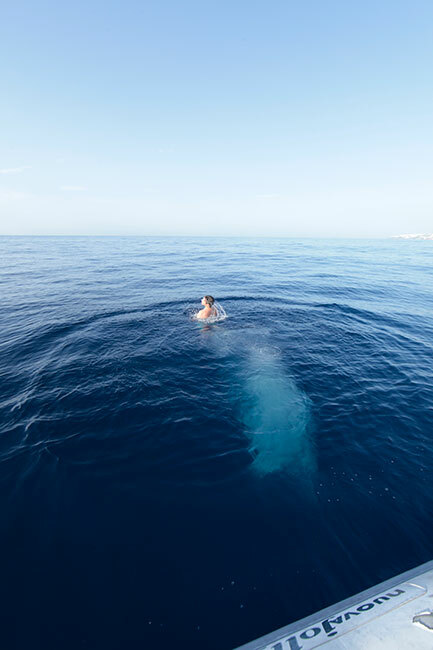 We have a great advantage over other boats in the area: we are faster and quieter which increases our chances of encountering theses species. 2h trip: This trip is more relaxing and informative. 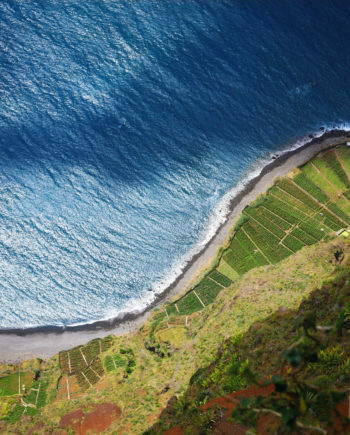 The boat heads towards Cabo Girão, which is the 2nd highest sea cliff in the world. On the way there we will see Dolphins and Whales. 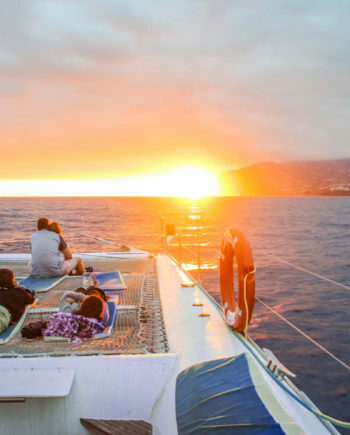 Our crew will stop for about 20 minutes so you may enjoy a swim in the ocean. 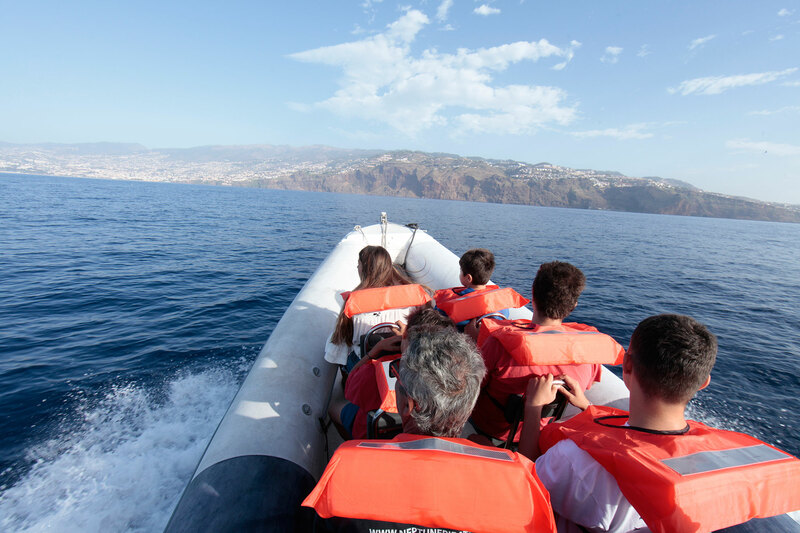 On the way back we will sail closer to land in order to enjoy the view while soaking in interesting information from our guide. 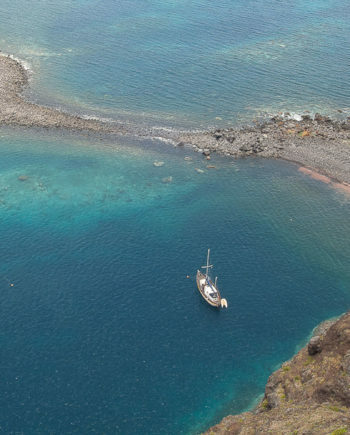 During both trips, passengers will be able to swim with dolphins if conditions so allow. We do not charge you extra to swim with them. 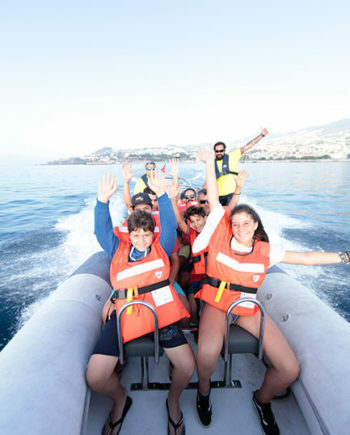 Our company also provides a photo report of your trip via Dropbox. We have a lookout on land to help us find the animals. This way we have the possibility of seeing several species in a single trip. 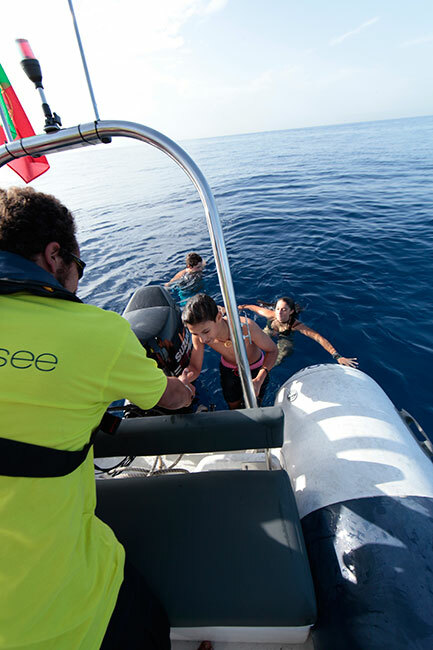 We also have an Institute of Forests and Nature Conservation for the Observations of Cetaceans certified guide, who can explain everything you need to know about the sighted sea life. 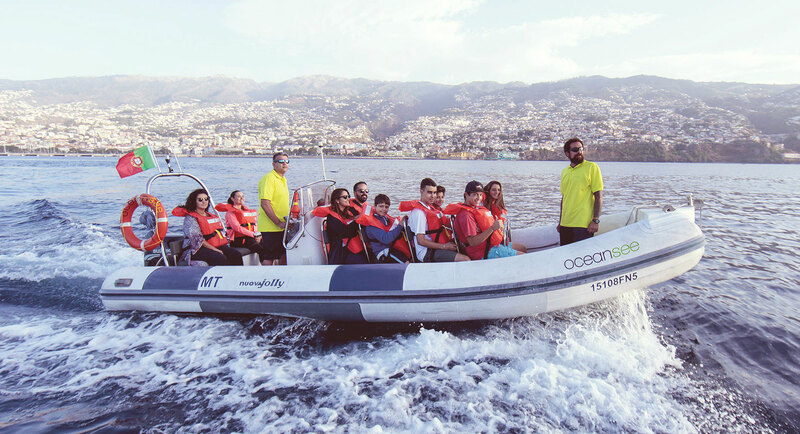 We take a maximum of 10 people and minimum of 2, so we can offer a more personalized experience and explain everything to our passengers. We can start our trips with only two adults. 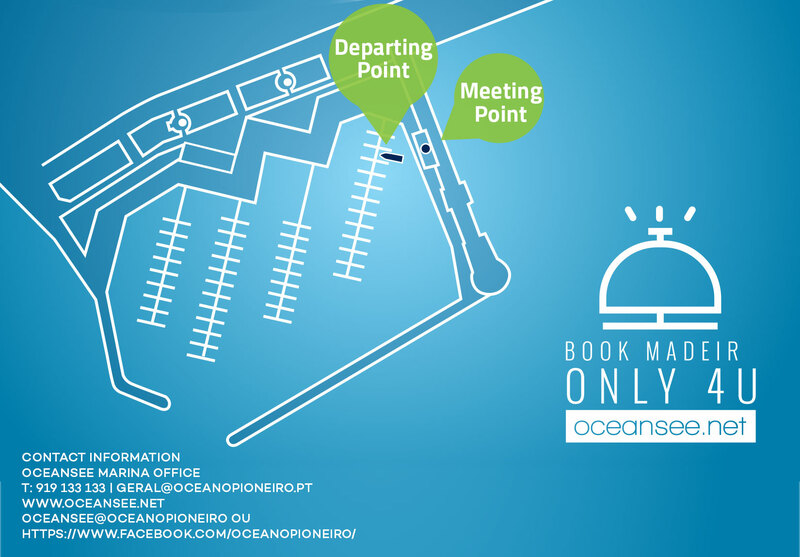 Meeting Point: in front of the “OceanSee” kiosk at the Funchal Marina 15 minutes before departure. If the weather isn’t ideal for the trip, we will contact you to reschedule or issue a refund.